Do You Remember the Last Time You Didn’t Feel Stressed? Too often, we feel overwhelmed in our daily lives. A build-up of activities, tasks, and heavy workloads often takes its toll on our mental wellbeing. 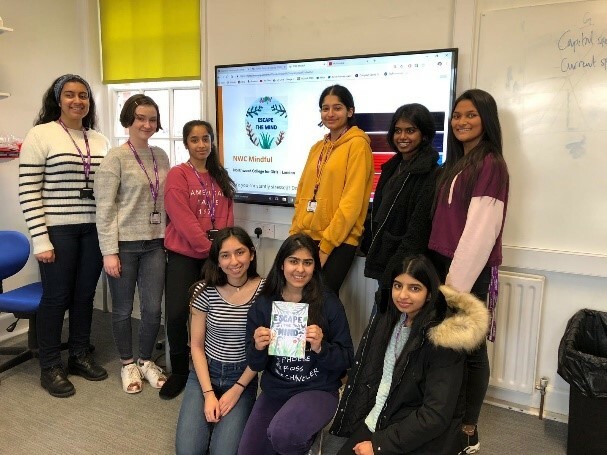 As a Young Enterprise group looking to create a product that would benefit our peers, we knew we wanted to help solve this ongoing issue that affects so many of us. This inspired us to design something that would make a tranquil, calm environment feel like less of an unachievable fantasy. We decided to deliver this in the form of a nature inspired colouring book. 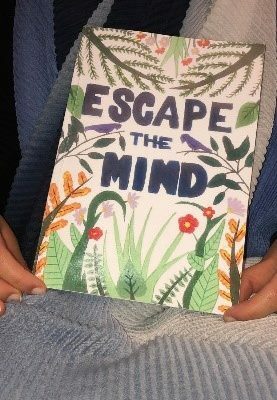 If you’ve ever felt stressed or overburdened in any way, then our book, filled with beautiful, hand drawn designs, is the perfect way for you to step back from the stress of day to day life and escape to a calmer frame of mind. Whether you only have a few minutes to spare, or are willing to lose yourself in a world of colour for hours on end, there is a perfect design for you. 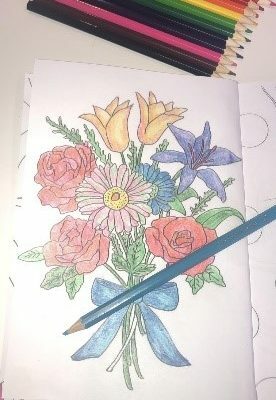 When it comes to mindfulness colouring, ability is insignificant. With a range of both intricate and simplistic designs, our book is suitable for any age or level of skill. As a team of students committed to advocating the importance of relaxation, we have compiled this book from scratch, and are very proud to present 34 unique images in a high-quality book. At a reasonable price of £7 each, they are ideal for purchasing for yourself, or for a friend or family member that you may have in mind.